My children have all three had toys that were special to them which they still cherish. My middle daughter's favorite lovey has been a stuffed bunny named Bunny, so I knew even though she would be a little old for this story that I wanted to read it. I actually sent her on a little photo shoot to capture a picture of the book with her Bunny, and she read the sweet story, too. The love of God is woven into this story about an imperfect bunny who is loved even when that imperfection is clearly visible. Human emotions are given to Audrey Bunny in a way that children can relate to. "What little girl would want a messed up toy?" Selah has been one of my favorite music groups for a long time. I loved hearing the family share about their childhood as missionary kids. I cried with the lead singer as he shared about the loss he and his wife experienced, their little daughter Audrey, when we watched them in concert. And then I marveled at the Women of Faith Conference as Angie Smith had already started sharing how that sadness was turning to joy as she used the depth of her grief in reaching out to others. 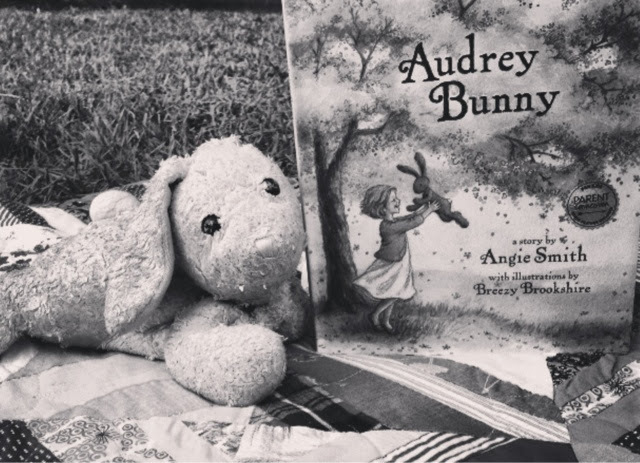 She continues to share her love of her daughter Audrey in this story Audrey Bunny with her touching dedication. The book is beautifully illustrated by Breezy Brookshire. The colorful illustrations fill each page, but my favorite are the sweet drawings inside the front and back covers that seem to continue the story of a little girl and her stuffed friend. Good news for you! Leave a comment about what interests you most about this book or about a special lovey that belonged to you or your child. 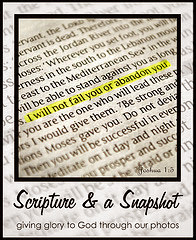 On October 29th I'll choose one winner with random.org to receive a copy of this book provided by the publisher. Winner must respond to email winning notification within 48 hours or a new winner will be chosen. Disclaimer: A copy of this book was provided for the purpose of this review. All opinions are my own. I would love to read this book with my little ones. I really love the back story to this book and I think that it makes it that much better. My little ones always loved their pacis. Awe! This just floods me with memories. My own special bunny still resides on my bed. I would love to read this book with my children (and one day with my grandchildren). I, too, love Selah -- so that just sweetens the book to me. Congratulations! My bunny loving Em picked #2 which means you won the giveaway. I would love to share this book with my little girls! I love that is shares the message of God's love for them and helps teach them that they are special to God. I like this book because it teaches good values. Thanks for the giveaway!